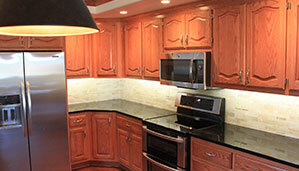 Due to fire damage, this kitchen was completely rebuilt. Cabinets and countertops were detatched and reset. The mosaic tile backsplash was an addition requested by the customer. Under cabinet lighting highlights the backsplash. 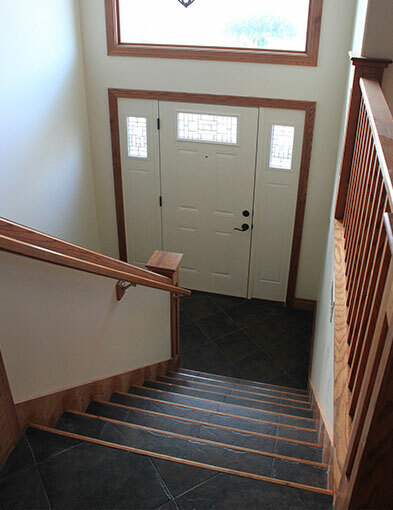 Built at a complex of townhomes. 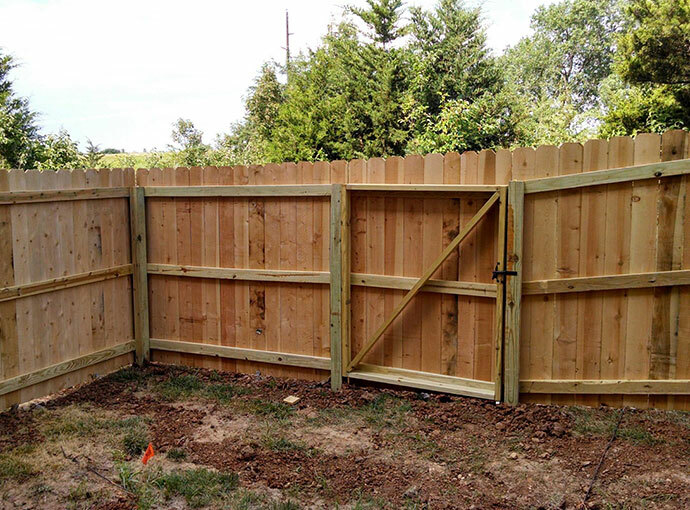 This cedar privacy fence creates a private space for the tenants. 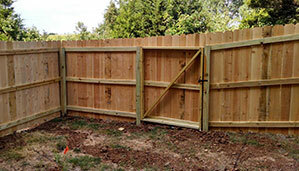 Pre-stained pickets are also available. 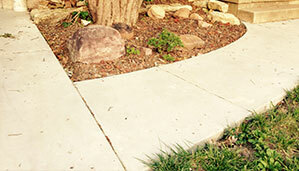 After 30 years of use in the harsh weather elements, it was time to replace this exterior concrete. 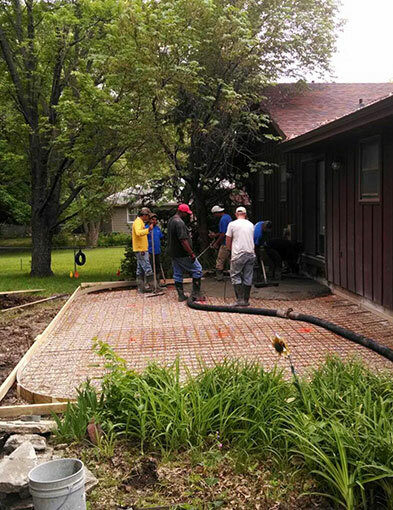 The scope of work consisted of removing and replacing a back patio, sidewalks and part of the driveway.